The University of Oklahoma Biological Station at Lake Texoma is a campus of the university has been devoted to excellence in biological education and research in a natural setting since 1949. Thousands of OU students have attended our courses, and our seven-decade history of research in biology and the environment has produced hundreds of academic publications and contributed to a better understanding of our planet. Over the past two years we have substantially increased our longstanding commitment to provide authentic research experiences for OU students. During this time, we initiated our Undergraduate Research Apprenticeship program, and expanded or Graduate Summer Research Fellowship program. In our Undergraduate Research Apprenticeship program, we provide five-week paid apprenticeships in which OU undergraduate biology students work closely with a graduate student of faculty researcher, and our Graduate Summer Research Fellowship program provides financial and logistical support for graduate students conducting research at our biological field station. This year, we are supporting four graduate research fellows and six undergraduate apprentices. Donating to UOBS though the link above helps us provide exceptional research experiences for our undergraduate and graduate students. As the number of participants in our student research programs have increased, so have our needs for modern research equipment and supplies. Our goal is to enhance our student research programs by purchasing needed research equipment, including an analytical balance, microscopes, refrigerators, , and supplies, such as lab gloves, forceps, sorting trays, insect and aquatic nets, and assorted plastic jars, and more. First, your donation, regardless of amount, will help ensure that our researchers have the appropriate equipment and supplies they need to conduct high quality research. With your help, we can better provide essential laboratory supplies, and also important equipment for field and laboratory biology. Second, please help share our campaign through social media and with your friends and family. We appreciate our OU Bio Station Supporters! Thank you for your support of our next generation of leaders in ecological research! Keep our student labs supplied with basic necessities, like lab wipes, gloves, and paper towels. Help our undergraduate research apprentices boost their careers by providing essential research items like safety glasses, beakers, and basic chemicals. Support the next generation of scientists with a donation for lab items, such as forceps, scissors, and collection jars. 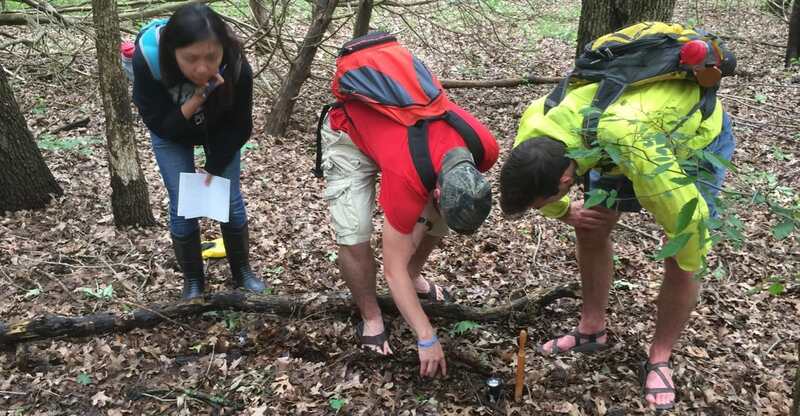 Our student researchers are making discoveries in natural habitats, and your help with purchase of hand lenses, insect nets, aquatic nets and seines, and other field equipment may lead to the next discovery about our world. Today's research in natural environments also requires work in the laboratory. Support our laboratory needs by helping to provide adjustable pipettes, a bench centrifuge, and lab microwave. Your donation at this level will help us purchase a modern analytical balance, and refrigerators and freezers that are essential for many projects. Stereomicroscopes are the most requested equipment item, and also the most expensive. You can be a game changer for years to come by setting our student researchers on a course to new discoveries and success in their careers.